Soak your beans! This is really about preparation. If you can roughly prepare the menu for your week and make some key dishes that can serve for several days, then it is much easier to stay on track through the process of cutting out foods. Finding those keys dishes is crucial. One way I like to go about it is to pick a bean to soak and boil and then prepare in many different ways throughout the week. This works for black beans, pintos, adzuki and garbanzo. Cooking is a meditation. Eating vegan plus wheat-free, caffeine-free, soy-free, and sugar-free requires some definite time spent in the kitchen cooking. Cutting and preparing food can be a great opportunity to unwind from the day and come back to neutral. I started to think of it as a relaxation exercise! I was inspired to consider that the process of preparing your food is actually intricate to digestive as well as mental health. To treat poor digestion, a treatment method to be investigated is one where the patient eats only whole food prepared by their own hands. Eat more NOT less. I ate so much over the past 3 weeks! I had “side dishes” of all sorts going and I would be eating every 2 hours plus having herbal tea all day. Even with that I lost nearly 10 pounds. 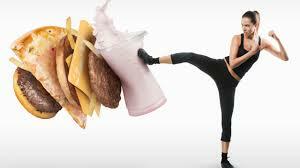 The meat, dairy, carbs, salt, and processed foods can gum up the system I think. Those are the three I will be careful to limit when I come off. Put a Carrot in it. No matter what dish you are preparing you can usually shred or slice a carrot in and it will elevate the dish. Shred a carrot over a salad, or into a marinara sauce or dice a carrot into some boiling beans, a soup, or a sauté. It’s an easy way to add color to any dish which means you are adding vitamins and minerals! My senses are more acute. About day five I started to notice I could smell better. Abstinence is a fun game that strengthens your will power. I started to feel the power by the 10th or 12th day- like by not choosing certain foods, I was putting money in my bank and getting richer. Exercising your will power strengthens your kidney qi which translates into western terms as balancing hormones and promoting longevity. Take a Drink. My husband is a connoisseur of ale, as many a husband are, and when we are out and he has his libation, I pick a delicious and yummy non-alcoholic tonic for myself. 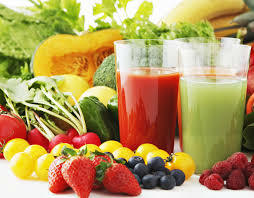 In many establishments there is now quite an array of beverage tonics that fit nicely into a detoxifying diet. Kombucha, herbal elixirs and apple cider drinks abound if you look in the right places. Don’t deprive yourself! Instead get a great recipe for your own easy tea, elixir or flavored water to help keep your eye on the prize as you hydrate throughout the day. Pile on the Herbs. I used such a larger quantity of cooking herbs with all of the focus on vegetable dishes the past few weeks and I have to say -I am not going back! 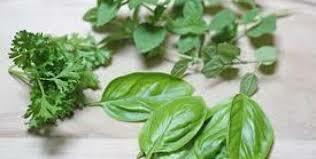 Cooking with lots of herbs is delicious and nutritious. Food really is medicine -Eating aromatic and bitter herbs improves the immune system and aids digestion. It helps to think that I am going against the establishment. Like many people I have s streak of rebellion deep inside my soul. That piece of me gets great satisfaction when I think about how the way I ate impacted the food industry. I am only one person but- By choosing vegetables only and not buying meat or any processed foods I didn’t support a food industry that I am becoming more and more wary of. Eating vegetables is a revolution! Honey + Comb and almonds. This was my go to snack at the end of the night and boy did it satisfy that after dinner sweet tooth! It doesn’t need it. Greek Salad minus the feta- it’s awesome! Potato leek soup without the cream- I realized it doesn’t even need it. Recipes can be altered and still turn out great! I was able to break out of my shell a bit on recipe following and get back to being creative and adventurous. Soups are awesome. You can always count on a soup to deliver some serious satisfaction in the middle of a work day. You can pack tons of nutrition in to a great tasting and quickly reheated meal that can carry you through a busy day. The variety of soups is endless, and they are best when inspired by the season and what’s fresh in the market. The delivery of nutrients via a soup is very efficient and places less demand on a digestive system which is great during a time of cleansing. I don’t need that much meat. I am lover of many fine meats, but I realize after giving it up for a few weeks that I don’t need quite as much as I usually eat. There is a fine balance between when a substance or food is nourishing and beneficial and when it becomes excessive and more detrimental. After this break from meat I feel more in touch with where that balance is for my body and I realize that I need to up the veg going forward and decrease the meat a bit. Clean Food-Clear mind. A clearer thought process and more resolve have emerged as well as more inspiration and creativity. It is like- a cleaner physical form is a clearer vessel and therefore the subconscious may bubble up into consciousness. Many foggy issues I got clarity on and gained some resolve and more confidence about. Of course I also got a little “witchier” and perhaps argumentative, but my husband did note at one point that I was articulating my points and defending myself with much more clarity than usual…Hahaha!! Moderation is everything. I recognize the good in all that I have achieved in the last 3 weeks for my body. But I also realize that I am a foodie who loves all kinds of foods with no restriction from sweetbreads to skittles. I don’t plan to give up on any of my food excursions. My goal though was to flex my will power a bit and kind of reset my palate back to the healthy end of the spectrum. I think I have accomplished that and my new plan is to eat like a health nut all week and splurge on the weekends. Life is a process – here’s to finding your path! If you need a hand, AIM is here to help guide you through your cleanse. This entry was posted in About Us: AIM Services & Providers, Detoxification, Nutrition, Opinion and Color Pieces, Testimonials and Stories and tagged acupuncture, Acupuncture Duvall, Acupuncture Redmond, Acupuncture Redmond Ridge, AIM for health!, AIM Yoga, AIM4Health, Alpine Integrated Medicine, Bastyr, Best Doctors in Redmond, Carnation ND, Chinese medicine, Dr. Alison Kerns, Dr. Brooke Azie-Rentz, Dr. Mohammad Shegeft, Duvall, Duvall Doctor, Duvall Naturopath, Duvall ND, Duvall Wellness, Health and Wellness, Natural Medicine, ND, Nichole Santoro, Redmond, Redmond Doctor, Redmond Naturopath, Redmond ND, Redmond Ridge, Redmond Ridge Doctor, Redmond Ridge Health and Wellness, Redmond Ridge ND, Redmond Ridge Yoga, Redmond Wellness, Redmond Yoga. Bookmark the permalink.